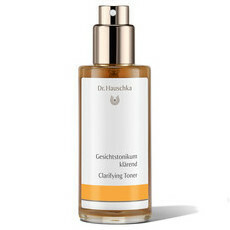 The Dr. Hauschka Clarifying Day Oil helps to calm oily, blemished skin, providing essential moisturisation and helping to reduce blemishes. This light, quickly absorbing formula is made up of a combination of Apricot, Kernel and Wheat Germ Oils, which help to balance the skin and minimise redness, and is housed in a recyclable glass bottle. 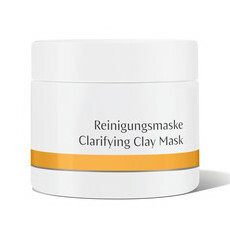 It also works to reduce pore size and leave skin looking clear and beautiful. Made in Germany. Certified Natural, non GMO, and Sustainably Sourced. Certified Cruelty-free & Vegan. Almond Oil, Apricot Kernel Oil, Calendula, Jojoba Oil. Apply 1-3 drops to the skin every morning after cleansing and toning. A lovely winter time oil, I find it a bit too rich I. The warmer months as I have combination skin. Adding oil to your skin, you say!? It's sounds like a funny thing to do, but this product is amazing! 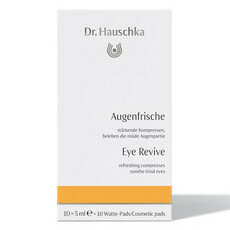 Nothing has cleared up my 27 year old pimples like Dr Hauschka has! 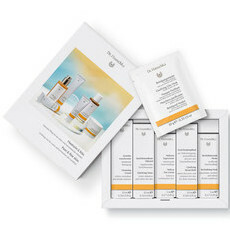 I would not hesitate to recommend this or any other Dr Hauschka products to anyone!